Despite a substantial fall in overall ordering this year, tanker contracting has been robust with 207 ships of 16.6m GT reported of being ordered so far this year, which is already above full year 2014 in terms of GT, according to data released by London-based Clarksons. Greece remained on top of the ordering chain, having once again ordered the largest volume of tanker tonnage in the ytd (51 ships of 4.4m GT) - equivalent to 25% of tanker orders globally in GT terms. Specifically, this includes 11 VLCCs and 18 Suezmaxes. As a result, the Greek tanker orderbook has grown 40% in GT terms this year and now accounts for 15% of the 67.5m GT Greek tanker fleet. Greek owners are followed by Chinese counterparts in the second place, who ordered 30 ships of 2.3m GT in the ytd - the highest level since 2006 in GT terms on an annualised basis. This has pushed the Chinese tanker orderbook up by 10% since the start of 2015 and it now accounts for 32% of the Chinese tanker fleet, Clarksons said. State-backed owners account for the largest share of orders, with COSCO Dalian ordering 50% of the tonnage. Japanese owners account for 11% of orders in the ytd with 27 ships of 1.9m GT ordered - the third largest volume globally. All of these ships were ordered at domestic yards. After a five-year absence from the tanker newbuilding market, Saudi owners made a return this year with Bahri's order for 10 VLCCs signed as part of their fleet renewal program. Meanwhile, Norwegian owners have ordered 15 ships of 1.5m GT in the ytd, up 22% y-o-y in GT terms. This has helped take the Saudi and Norwegian owned tanker orderbooks to around 25% of their tanker fleets. The top five owner nations account for around 70% of tanker orders in the ytd, up from nearer to 60% between 2010 and 2013. There is also a drop in the number of owners active in the sector with 74 owners ordering this year, down from an average of 119 between 2010 and 2014. 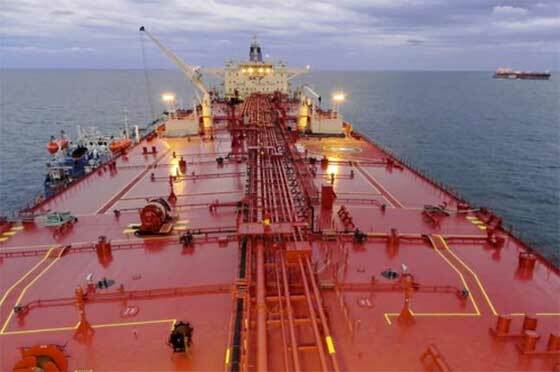 Clarksons said that one characteristic of the ordering in tanker sector this year has been the focus on the crude sector, in addition to the apparent continuation of a trend towards more ‘consolidated' ordering within the sector. "Whilst oil tanker ordering is down 18% in numerical terms y-o-y, it is up 38% in GT terms in the ytd. This is largely due to this year's focus on crude tonnage, particularly at the large end with 50 VLCCs reported ordered in the ytd. This firm ordering has been supported by positive market conditions due partly to the low oil price environment as well as the impetus of the introduction of IACS's harmonised Common Structural Rules (HCSR) and impending NOx Tier III emission limits," Clarksons adds.